Once upon a time an Indian writer name Amitav Ghosh set out to find an Indian slave, name unknown, who some 700 years before had traveled to the Middle East. The journey took him to a small village in Egypt, where medieval customs coexist with 20th-century desires and discontents. But even as Ghosh sought to re-create the life of his Indian predecessor, he found himself immersed in those of his modern Egyptian neighbors. Opening in Calcutta in the 1960s, Ghosh’s radiant second novel follows two families - one English, one Bengali - as their lives intertwine in tragic and comic ways. 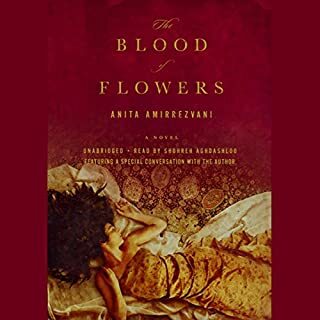 The narrator, Indian-born and English educated, traces events back and forth in time, through years of Bengali partition and violence, observing the ways in which political events invade private lives. 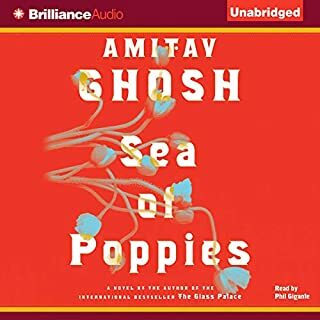 ©2002 Amitav Ghosh (P)2010 Brilliance Audio, Inc. This is a big story written by one of my favorite authors, Amitav Ghosh. He gives the full sweep of history in this region in the 20th century, starting with the end of Burmese royalty, the movement of Indians into the culture of Burma, the horrendous toll of suffering and displacement during WW II, ending with the restrictive political climate of the new "Myanmar". It is told through the intertwined families of the book, a large and intertwined lot. I loved the attention to the characters, and the coming together of many different family connections that span the generations. The characters are quite unique, and the woman are very independent. Ghosh is a great story teller and I would recommend his other books as well. The book's length and detail draw you in, the narrator is very good and brings all the characters alive. 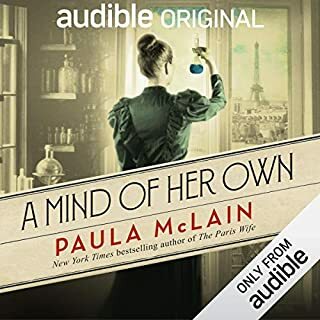 It is not a book for someone looking for a fast moving plot, but there is a lot of drama throughout the novel and a fascinating book for a good, long listening experience. I read the book a few years back and loved it. It is beautifully written, very absorbing, and heartbreaking. This is a great way to re-read the book, or to read it for the first time. Simon Vance is one of the best narrators I've heard, and he does a marvelous job here. A fabulous listen! Wow, I cannot remember why I selected this, as I had not read Ghosh before. 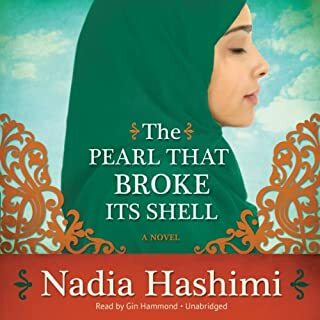 It has been too enthralling an audiobook to put down! It has remarkable language portraits of India, Burma and Malaya, complete with smells, people, built environments, economics and politics. 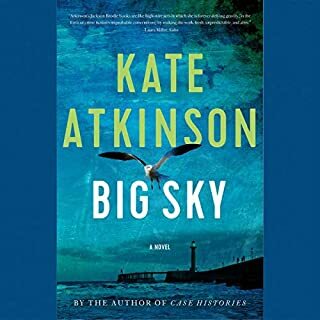 Sometimes it feels that too many historic events directly affect its players, but the reader is extraordinary and the novel's ability to evoke a place and time is superb. The Glass Palace is beautifully written, with wonderfully-drawn characters and many touching moments. However, between Part 1 and Part 2 there was such a quantum leap in time and events that I went back to Audible to make sure that I had downloaded all the parts. There was a gap of 15 years, during which protagonists who were in different countries somehow got together and were married in some unexplained manner that was never clarified. Once I got past this, however, the story continued in a very satisfactory manner, and I am glad I stuck with it. Simon Vance's narration was superb, as always. I highly recommend this book despite its flaws. It is a portrayal of a venue that has not been well-covered in fiction--Burma (now Myanmar) and Malaya from early 20th Century to the 1970s. FANTASTIC book! Couldn't stop listening. Now, can't stop thinking about it. I did not find the narrative too long. I would highly recommend this book. I struggled to finish... enough said. I can appreciate the story - young boy grows up during a rough time but ends up becoming very successful, both in his business and personal life. I can even appreciate the author's ability to help you "see" the story. I feel like I got a real sense of how it was in Burma during this time. What I can't appreciate, are some of the long stretches of (seemingly) unnecessary details and conversations. I expect to have loads of details in an unabridged version, but sheesh, those details are usually helpful in telling the story. Not this time; instead I felt like there was a bunch of fluff added in. On top of that, the end read as if the author had gotten tired of writing, but still wanted to cover a 10? 20? 30? year timespan so he just threw it all out there with no clear indication of the year, or the amount of time that had passed. 2.5 stars for the idea of the story, -2.5 stars for making it sooo difficult to finish. (I actually gave up about 5 times). Riveting picture of the human story of Burma! What did you love best about The Glass Palace? The characters were well drawn and very vivid, so that you emphasized with them. I also enjoyed the descriptions of a country I knew very little about. It was an eye opening experience. 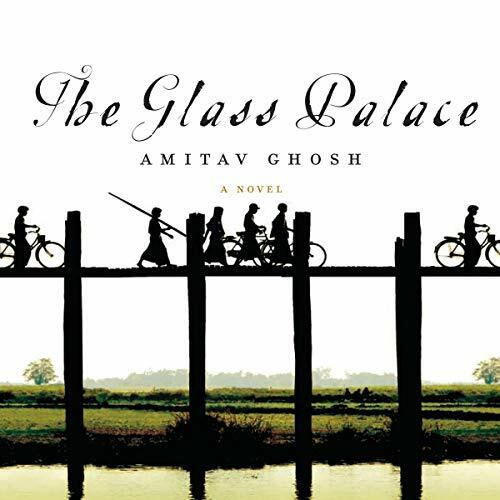 What other book might you compare The Glass Palace to and why? This book is similar to Hawaii by James Michener, or Sarum by Edward Rutherfurd. They all are sweeping stories of country's histories told thru a few families. The only difference is that The Glass Palace is only telling a few hundred years of history while the others go centuries. So many characters I loved. I would have to say Dinu Raha was my favorite. As a young boy he is closer to his mother than father, and survives childhood polio. He loves photography and would be what we call today autistic in his singlemindedness. He falls for Alison the beautiful daughter of Matthew and Elsa and against all odds wins her love. He also becomes the voice of Burma and a political prisoner for a time. If you could rename The Glass Palace, what would you call it? I like the name just fine. Don't think there is a better name. This story really brought the world to me. The narrative is told by the individual peoples and made me realize that Britain and America's love for their country and belief in a "manifest destiny" nearly destroyed the people and countries they conquered. A very moving tale of the rights of all people to live free in this world. Where does The Glass Palace rank among all the audiobooks you’ve listened to so far? 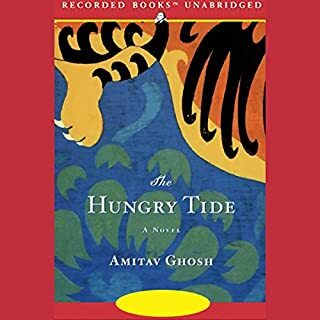 What was most disappointing about Amitav Ghosh’s story? Really a family history intertwined with Burmese history rather than a novel of real personal growth or significant challenges. Every scene was told with the same reporter style so it was somewhat difficult to get emotionally caught-up. Overall the story (history) was compelling. If you could take any character from The Glass Palace out to dinner, who would it be and why? Only listen if you want a sweeping history of Burma and India. It's well-written and narrated with great detail, but so long! And I found it to be sad on balance. The first thirds very good, second third okay. Last third - author gave up any pretense of having a real story and real characters and slipped into thinly-veiled lecture mode. Good performance couldn't save it.